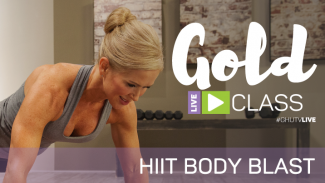 Join us for this Get Healthy U TV workout, exclusive to those with GOLD membership! We are “swinging” and sweating it out with a kettlebell workout. 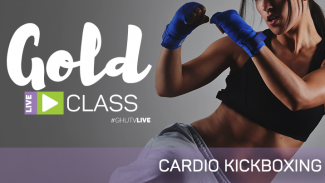 This workout is a fun combination of cardio and strength exercises. 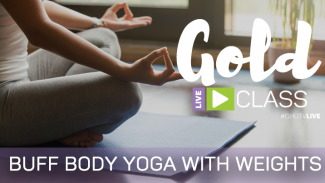 All levels welcome – we provide modifications! You may want to have both a lighter and heavier kettlebell if possible. You can also use dumbbells if you don’t have a kettlebell.